This is one of those shades that I bought more for the finish than the color... and ended up loving the color now that I'm wearing it! It's definitely a different shade... but different in a really good way! First of all, let me start by saying that my photos are nawt color accurate. Curry Up leans way more yellow than what you see in my pics. It's honestly very close to Shrek green. Yep... yellowy-lime and sort of snotty at the same time. This polish shimmers thanks to super-fine irridescent blue glitter, with fine coppery-pink glitter sprinkled in. If I had to guess, I'd say that it's an attempt at rose gold glitter. Rose gold is super trendy right now. As far as a nail polish goes... I don't know that anyone has really duplicated the exact shade. Most of the glitter versions I've seen either lean too pink or too orange. What's interesting about Curry Up though, is the way the coppery-pink glitter comes across. It's not overly bright, but it doesn't disappear entirely either. It reminds me of when you put pepper in soup. A little bit of it dissolves and blends into the broth, but you can still tell it's there. Was this effect planned? Honestly, I don't know... but I haven't seen any other polishes like it. On one hand... it reminds me of flecked spraypaint on a smaller, more demure level. On the other hand... it could be that the coppery-pink glitter didn't mix as originally intended. Either way... Curry Up is a super unique and different nail polish that you probably want to pick up while it's still around! Now, as far as the formula goes... the amount of shimmer and glitter in here just might have overloaded the base polish. Curry Up was gloopy on application with every. single. coat. My nails were still a bit patchy at 3 coats, so I painted on the 4th... and things were still a little iffy. Thankfully, after a coat of clear and Seche Vite, everything evened out. The more I wear Curry Up... the more I like it. I really wasn't sure about this shade of green at all when I bought it, and I've contemplated painting it on my nails more than a few times. I guess in the end, it's kind of like what they say about not judging a book by its cover... Don't judge a polish until you've swatched it! Would you wear Curry Up? Rise and Shine is part of SinfulColors' Core Collection. If it's not a part of your collection... I highly recommend picking it up. No stash is complete without a pretty teal polish, among other things! One thing to mention upfront, I did paint on Sugar Coat as undies for this polish. I'm not sure if Rise and Shine will stain my nails, but I'd rather not have teal-tinged digits if I can help it, thankyouverymuch! 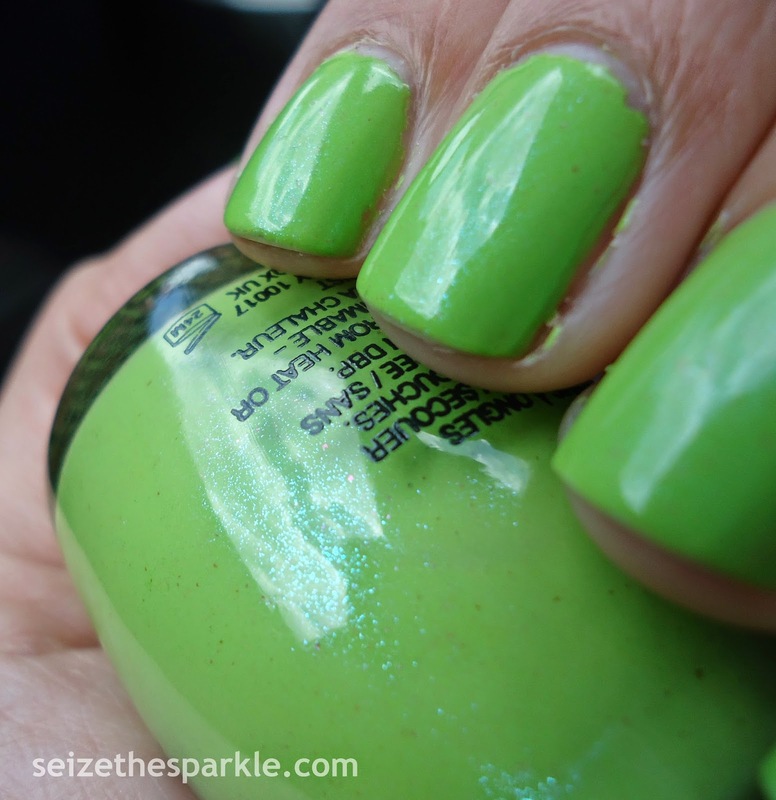 SinfulColors is really big on adding shimmer to their shades for a little added interest. Probably Definitely one of the reasons I have so many bottles of their polish! Rise and Shine is no different... it's a bright mid-toned teal with a slightly more blue-leaning teal shimmer mixed in. In my pictures, it shows up as a blue haze, but it's a fine shimmer in person, trust me! Capturing the exact shade of Rise and Shine was difficult, and I still didn't get it quite right. My Cybershot wanted to mute out most of the green, so I turned to my iPhone... aaaaaand my 5s couldn't really get it right either. It didn't include all the blue and made this shade a lot brighter than it is in real life. All in all, Rise and Shine is a pretty and wearable teal shade that doesn't feel seasonal or dated. What's your favorite teal polish? So, I've bypassed brights and pastels for the day and gone neutral. I can't say that I'm the biggest fan of neutral polishes. Don't get me wrong, I think they always look great on other people. It's just... on me...? They feel kind of bland. After painting just one coat of Show Me Some Skin last night... I knew my manicure needed some sparkly assistance. In the photos above... the bottle of Show Me Some Skin looks like it should match my skintone perfectly. Only, it's got more of a rose-toned vibe going on. So, in an attempt to get it a bit more pink that most people would probably wear it, I layered on 4 coats. 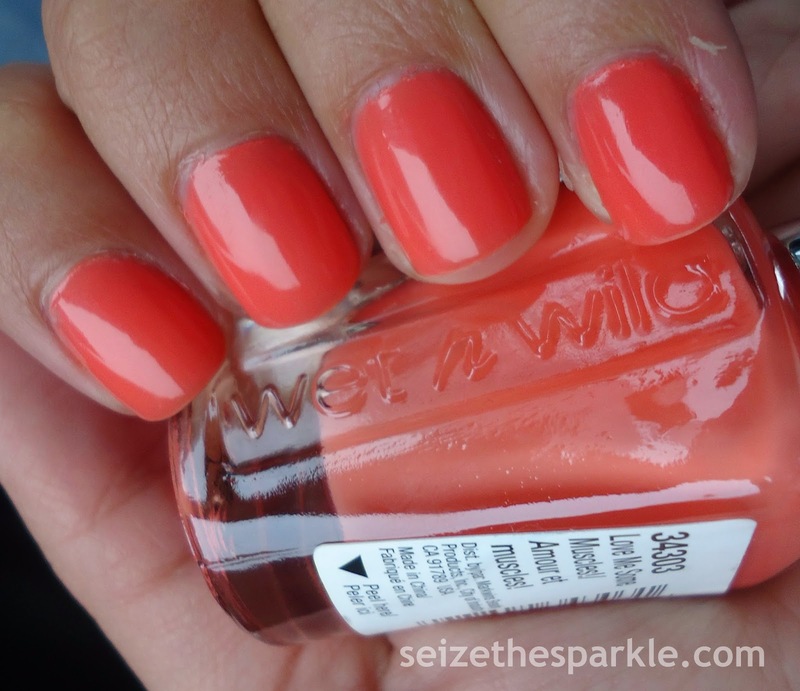 Then, I added 1 coat of Pink-Grapefruit and liked it so much, I went back and added another 2 coats of shimmer. What do you think of Show Me Some Grapefruit? So, I'm honestly surprised that I haven't worn this color until now! But that's what having so many bottles of polish will do to you. It's also the downside of storing your polish in a Helmer. The bottles aren't out in plain sight, so it's easy to get excited by shinier, newer acquisitions and completely forget about polishes like Island Coral! So good news, this is part of SinfulColors Core Collection, so you shouldn't have any trouble finding it at Walgreens or Rite Aid. Coral is one of my favorite colors, period, but I really enjoy wearing it during Spring and Summer with white, navy, or khaki green. I'm pretty sure I could spend all summer living in combos of those colors... BUT... I digress. Island Coral. If you don't have it in your collection, you need it. It doesn't matter if you've been looking for a coral or not. Application was great... four easy coats and some clear to make it shine, shine, shine! 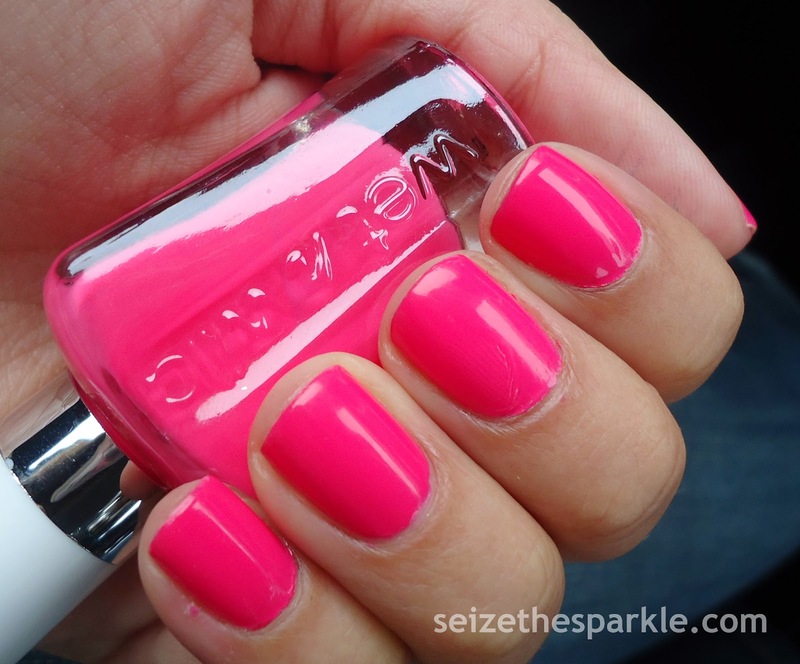 This is such a pretty shade, and I got so many compliments while wearing it today... I'm considering wearing it tomorrow, too! 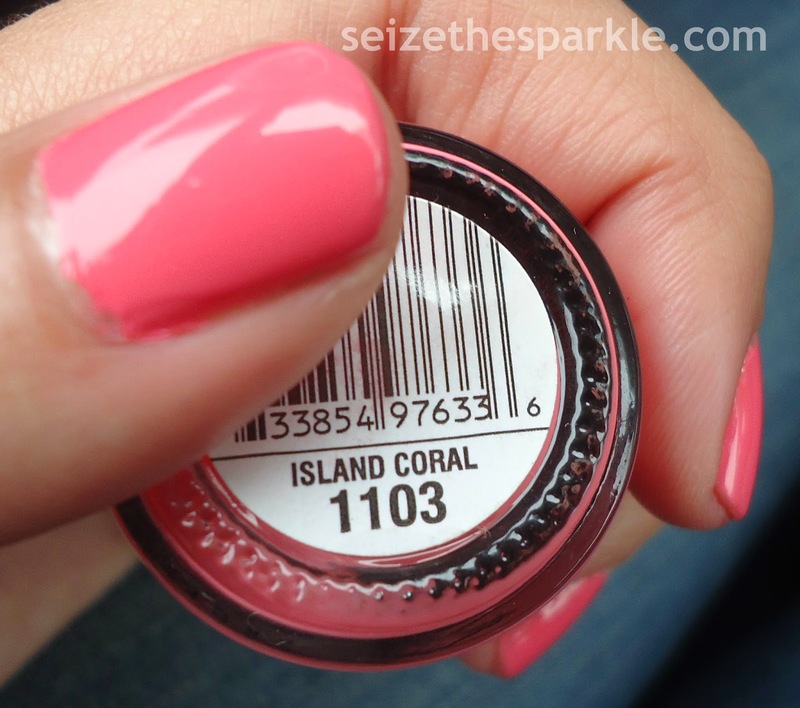 What do you think of Island Coral? It's been a long time since I pulled this out of the sparkle stash... Cinderella is a sheer pastel blue with super extra-fine glitter that flashes from purple to pink to orange. So named for that famous scene when Flora and Merryweather are fighting over what color Princess Aurora's gown should be. Has Cinderella made her way into your stash yet? 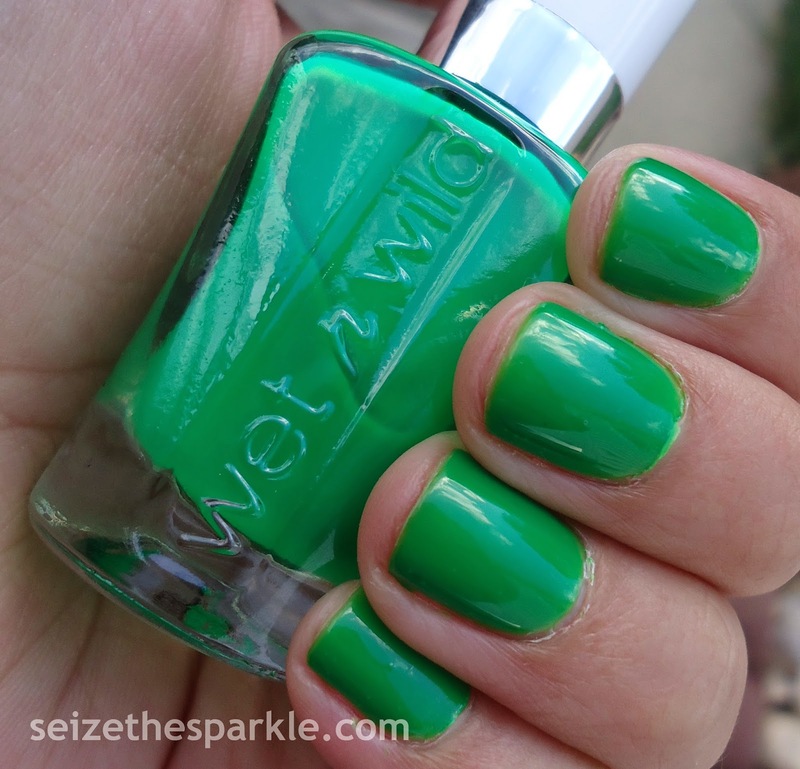 Another day... another polish from Wet n Wild's All Access Beauty Collection! 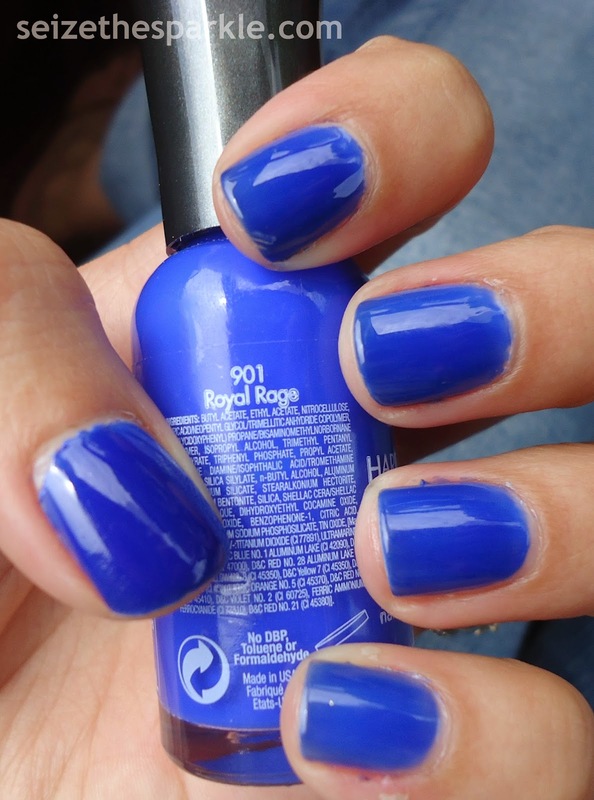 When I picked this up, I wasn't sure if it was going to be similar to Pacific Rim or Royal Rage... (both by Sally Hansen.) Coast to Coast is a super bright blue shade like Pacific Rim, but it packs a semi-pearly blue shimmer that definitely makes it unique... at least in my collection! Application was pretty good with Coast to Coast. Four solid coats for the pictures you see above. I'm not sure if I'm sold on the finish of this one, though. Shimmer definitely helps smooth out colors that can otherwise be problematic... hence, all the pastel shimmers out in current collections! I'm not sure that I would wear Coast to Coast by itself again. I think it would look good layered with another glitter or shimmer... possibly Sweet Candy from NYC, or maybe Sally Hansen Pink-Grapefruit... definitely haven't pulled that one out in a while! What do you think of Coast to Coast? The formula on this was good... similar to Love Me Some Muscles. Very pigmented, but also sheer at the same time, so you have to build up to the finish in the photos. 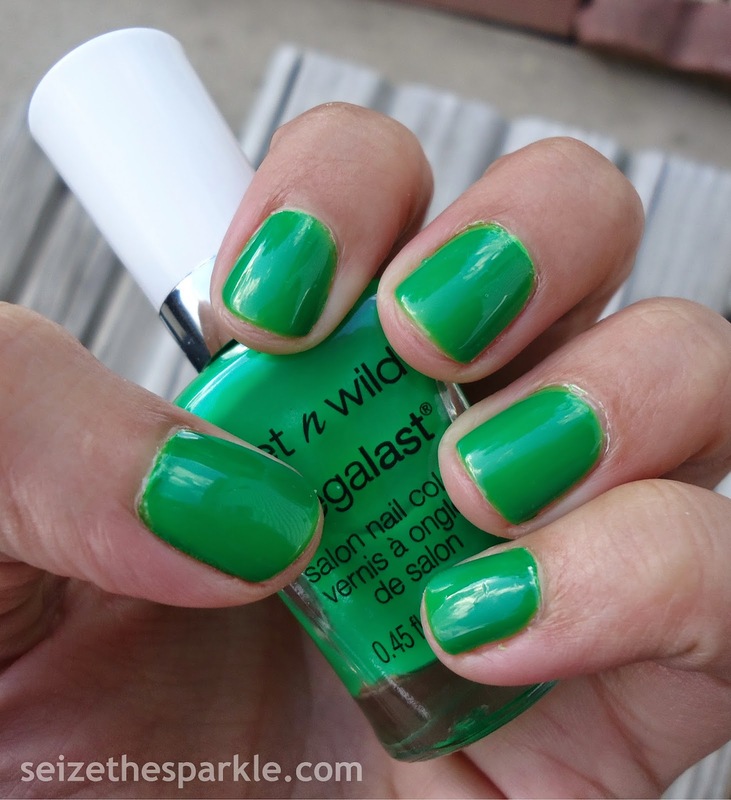 Like all the other polishes in the All Access Beauty Collection from Wet n Wild... Contact High features the Manicurve Pro Brush. I can honestly say that this is a unique color in my collection... which is odd, because it's also one of my favorite shades of green. Add in the jelly finish, and Contact High gives off a lot of shine and an incredibly fresh vibe. Perfect for Spring and Summer! Would you wear Contact High? All the polishes in this collection have Wet n Wild's Manicurve Pro Brush, and Trippin' on the Boardwalk was no exception. Although it did have a couple of wonky hairs that I'm going to have to trim. Not the biggest of deals, you know? Application was great... very similar to Love Me Some Muscles. 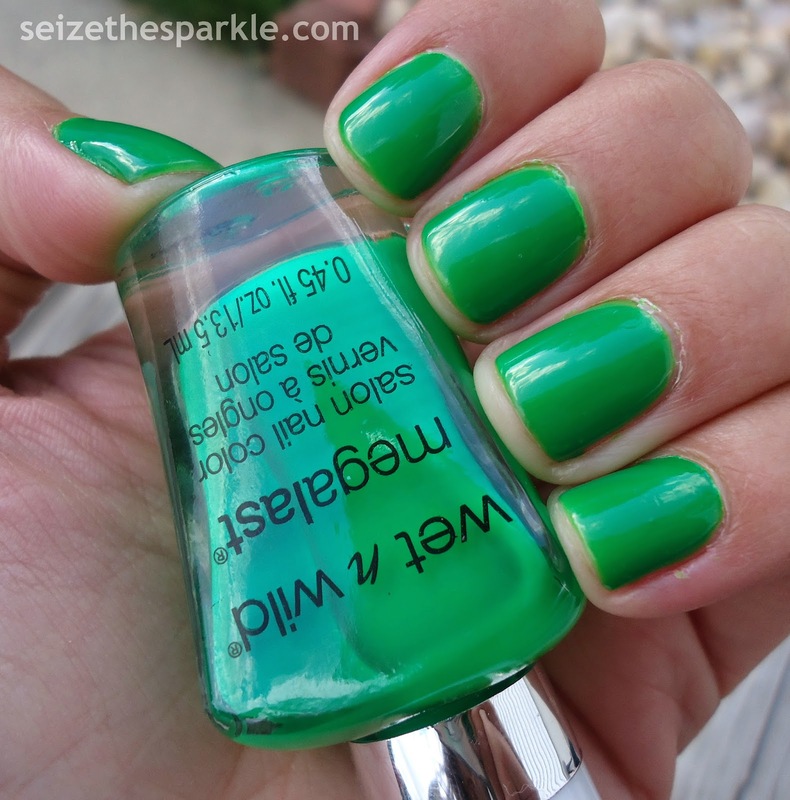 This is a nicely pigmented, yet sheer shade, so 4 coats were definitely necessary. Looking at my photos, I'd probably go back and do a 5th, because there are a couple of more sheer patches, but they're not that incredibly noticeable. 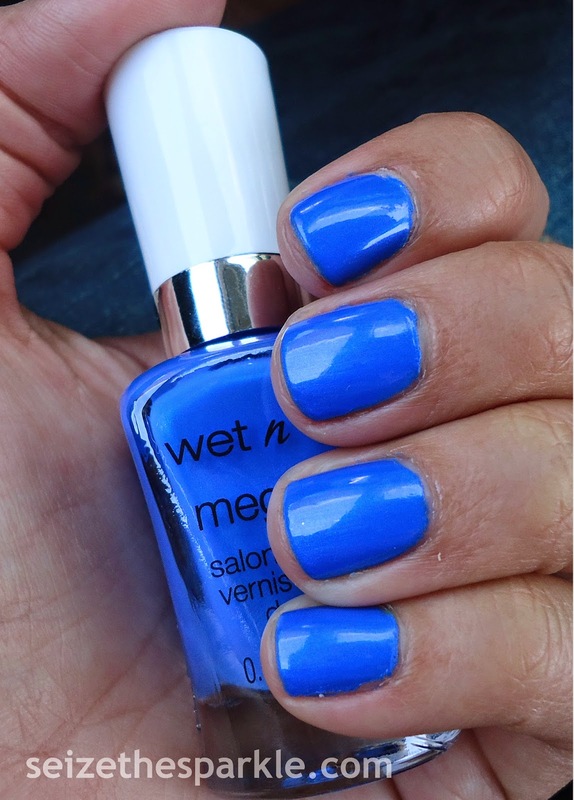 Definitely another winning polish from Wet n Wild... I'm seriously all about this finish! Jelly and creamy all at the same time = Lurve. Have you spotted Trippin' on the Boardwalk in the wild? 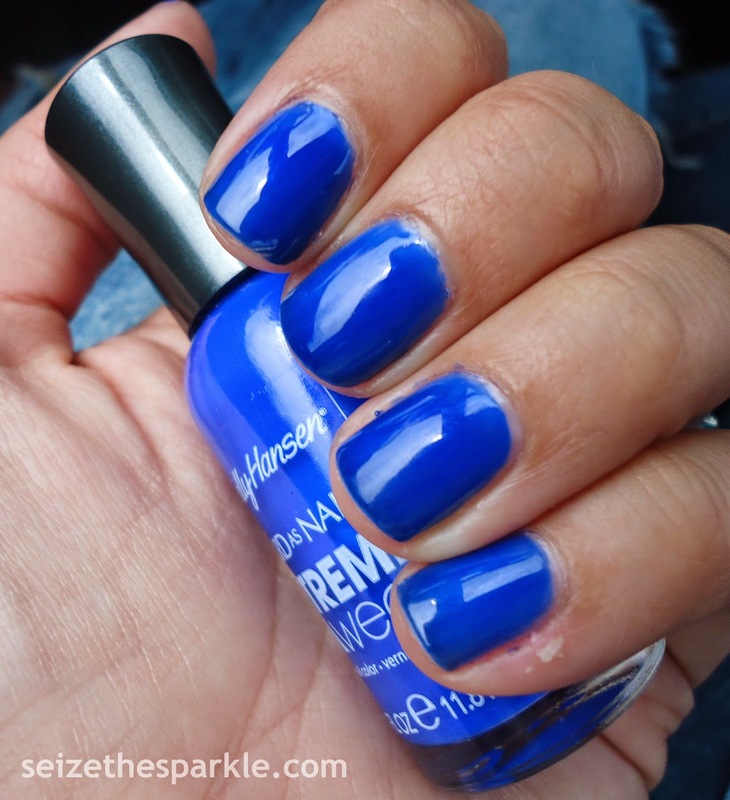 4 Coats Wet n Wild Love Me Some Muscles! So, when I picked up Wet n Wild's LE All Access Beauty Collection yesterday, I was surprised that I liked this shade so much. The color orange and I are just not friends, and it's really nothing personal, it just clashes horribly with my skin tone. But this color... it's got just the right balance of pink and orange. Is the brush a mop? Yes... (specifically, it's the Manicurve Pro Brush) but I'm starting to realize that I paint my nails well with it. Which is probably a big part of the reason why it still exists in all its moppy glory. Am I convert? Well... I guess I kind of am! Also, just like anything else... the more you practice, the better you get! So, if you're bad at using a particular polish brush, or even just painting your nails in general... practice, Practice, PRACTICE and you'll work it out!!! What do you think of Love Me Some Muscles?